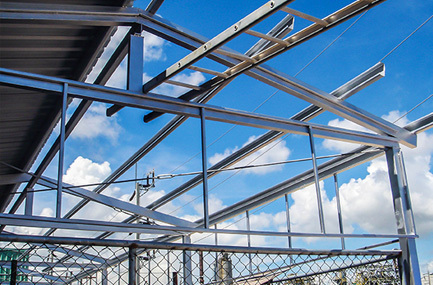 Constructing, remodeling, or adding to a building takes a lot of preplanning, and in Southeast Michigan, a structural steel frame is often the first step towards a quality result. San Marino Iron provides custom steel beams for commercial buildings in Warren, Detroit, Birmingham, West Bloomfield, Troy, Rochester Hills, and surrounding areas in Michigan. Our skilled technicians will spice-up your home or office with structural steel decks, gates, fences, stairways and deck railings. We offer iron, brass, steel fabrication, and more! We Are San Marino Iron. For more than 30 years, our family owned and operated business has been Southeast Michigan’s premier provider of custom-made metals in iron, brass and steel. Ornamental yet functional, these timeless structures are beautiful and dependable. Crafts and Services - San Marino Iron Gets the Job Done! Can’t quite put into words what you want for your residential or commercial structure? With more than 30 years of experience, San Marino Iron is here to help. Our technicians have an artistic eye for structural steel, brass, and iron. We will work directly with you and your design team to determine the best and most cost-effective way to create your vision. Make the old look like new again - San Marino Iron can spruce-up antique metals. If it’s fixable, we’ll get the job done! People (your potential customers) notice buildings that are unique to the business or service they want to buy. Customized, hand-forged iron, steel, and brass bring the customer’s eye to your business. Impress your clients! Metal artwork by San Marino Iron attracts attention to the smallest detail. San Marino Iron will create your unique design and stand by its strong reputation. Let’s talk about that important artistic vision! For quality workmanship and satisfying results, contact San Marino Iron for a free consultation!